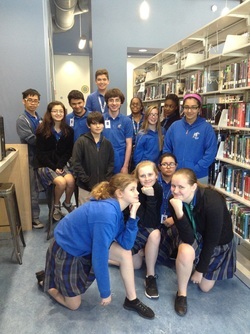 This year because of the change from two lunches to three, eighth graders were invited to join Bookmarked. 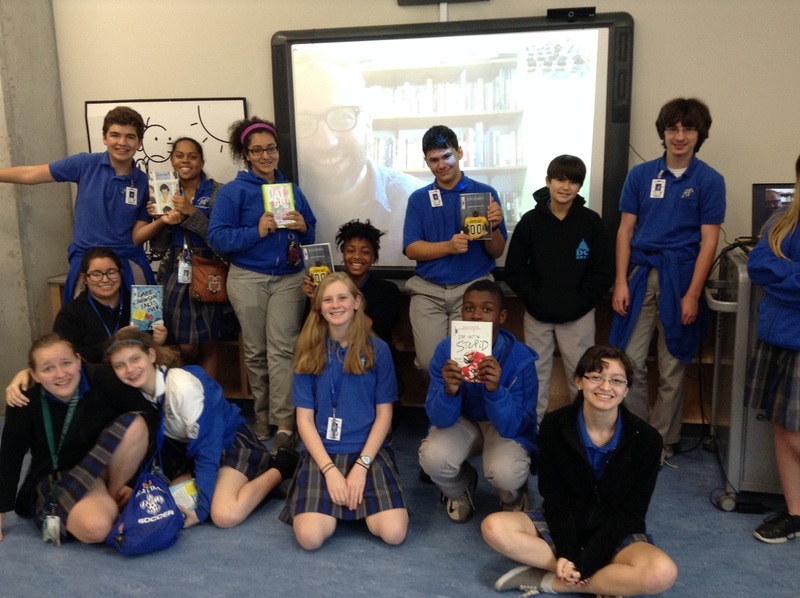 On Monday, October 26th, the members of Bookmarked met author Geoff Herbach via Skype. He kept them on their toes and laughing for over 30 minutes. It doesn't seem that Herbach can tell a story with a straight face. 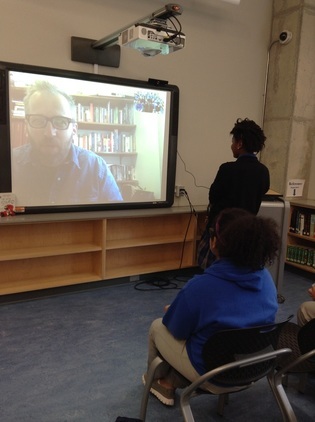 He began by explaining that he did not start his writing career writing books for young adults. At one point, he was working in New York city, but his family was living in Minnesota. During this period, it was a conversation with one of his sons about the fact that one armpit had made into puberty before the other one that spurred him to write Stupid Fast. By following YA lit as a career path, he was able to move home permanently. Follow this link to see more pics and read more about this event.